 Welcome to the 90th season of the Pueblo Symphony. Are you ready for the dynamic, diverse and iconic pieces this season? Pueblo is privileged to be a part of the extraordinary nature of works being performed. According to some scientists, the rhythm and resonance of music activate areas of the brain that help us feel we belong to something larger and are connected to each other. The Pueblo community is that connection. It is about the people and the relationships that allow things to be accomplished. Thank you for making this possible. Relationships are the means to sustaining a healthy Pueblo Symphony Orchestra and to building an understanding of the mission of the Symphony to provide music education and enrich the lives of our community. The community, collaborations, partnerships and the orchestra are vital to each other and music provides the meaning, purpose and direction. “How can this concert (or season) be topped?” is heard each year. With a pulse on the community and relationships, Dr. Jacob Chi and Executive Director June King are an enduring, dynamic duo as they diligently provide the foundation for audience enjoyment when they arrange versatile and thrilling programming each season. The Orchestra performs artistic products with energy and sophisticated, impressive quality. Each season varies, but the music is always stimulating and affects our emotional endurance. Some performances are electric while others are more subtle. Our souls are touched with the power and intimacy of stirring pieces. The long-standing, unique partnership with CSU-Pueblo provides Dr. Chi’s conductorship and the use of Hoag Recital Hall. 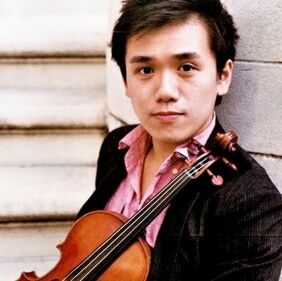 This partnership also supports Dr. Timothy Hsu as concertmaster. Dr. Hsu works tirelessly encouraging students and is active in the public schools, as well as teaching at CSU-Pueblo. The PSO, with Pueblo City Schools and School District 70, collaborate to invest in the future with all fourth-grade pupils transported to Hoag Hall for a special performance. The fourth-grade program has expanded to now include a literary component. Middle school students continue to be invited to concerts as part of the PSO’s Music Education endeavor. The Symphony’s guest artists are musical ambassadors and work with high school students and offer master classes for CSU-Pueblo music students. Nine components are now included in Music Education. 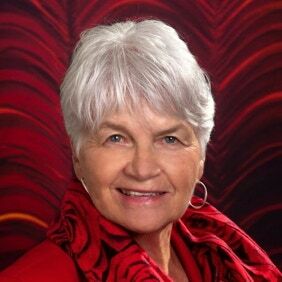 Other collaborations include Pueblo City-County Government and HARP. Each July 4th, the Symphony says “Thank you” to the Pueblo community by performing a concert at Memorial Hall. The PS Friends! are an essential part of the orchestra as they support with fundraising efforts. Please plan to attend our Guest Artist Luncheons. Watch for the dates. May you experience a journey of renewal and joy this new season. The 2018-2019 season celebrates Dr. Jacob Chi’s 25th season as the music director and conductor for the Pueblo Symphony Orchestra, founded in 1929. Under his innovative, artistic and passionate direction, the Pueblo Symphony has reached new peaks each season for that last 23 years. Over that time, Dr. Chi and the Pueblo Symphony Orchestra have accumulatively reached more than 250,000 people and countless broadcast audiences. Jacob Chi was born in Qingdao, China. At age 17, he became the youngest Concertmaster of the Beijing Opera Company; at 23, he was the Company’s conductor and composer. Chi completed his Doctor of Musical Arts in Orchestra Conducting from Michigan State University with Leon Gregorian, and an MM in violin performance from the University of Michigan with Jacob Krachmalnick, former concertmaster of the Philadelphia Orchestra. Chi’s conducting studies brought him to Tanglewood with Seiji Ozawa and Gustav Meier, the International Conducting Workshop, and other workshops with Leonard Slatkin, Rossen Milanov, and others. Dr. Chi is currently a full professor of music at Colorado State University-Pueblo (1997-present). He taught at Miami University (1993-1997) and the University of Southern Colorado (1991-1993). Chi also teaches conducting at universities and conservatories in China and Mexico. In 2006 and 2008, with Gustav Meier and Dr. Benjamin Loeb, Chi taught the International Conducting Workshop for young professionals in Chihuahua Mexico. Being the music director of the Pueblo Symphony Orchestra since 1991, Maestro Chi is also the principal conductor of the Marquette Symphony in Michigan since 2008 and was the artistic and music director of the Chihuahua State Philharmonic at Chihuahua Mexico from 2005 to 2007. He guest conducts nationally and internationally. Maestro Chi has conducted the Denver Symphony (Colorado), Colorado Springs Symphony (Colorado), El Paso Symphony Youth Orchestras (El Paso, Texas), Taos Symphony (New Mexico), Jackson Symphony (Michigan), and Midland Symphony (Michigan). Internationally, he conducted Vladimir State Symphony Orchestra (Vladimir, Russia), Sault Symphony Orchestra (Sault Sainte Marie, Canada), Northern Czech Philharmonic (Smetana Hall, Prague, Czech), Hradec Kralove Philharmonic (Smetana Hall, Prague, Czech), Orchestra Citta’Di Grosseto (Grosseto, Italy), EurOrchestra da Camera di Bari (Italy), Mexico State Orchestra (Toluca, Mexico), Guanajuato Philharmonic (Guanajuato, Mexico), Michoacan State Symphony Orchestra (Morelia, Mexico), Echternach International Festival (Luxembourg), Festival International Chihuahua (Chihuahua, Mexico), Chihuahua University Symphony Orchestra (Chihuahua, Mexico), New Symphony Orchestra (Sofia, Bulgaria), Xiamen Philharmonic (Xiamen, China), Wuhan Philharmonic (Wuhan, China), Xinjiang Philharmonic (Ulumuqi, China), Xinghai Conservatory Wind Orchestra (Guangzhou, China), and Hua-ou Philharmonic (Qingdao, China), of which Chi is the principal guest conductor and artistic advisor. Chi’s conducting repertoire includes the standard symphonic music, opera, ballet, and popular music, from Baroque to contemporary and from the West to the East. By virtue of his significant professional contributions to American society in 1994, Chi was selected among thirteen other Asian conductors, along with Seiji Ozawa, Zubin Mehta and Bright Sheng, for the Premiere Edition of Who’s Who Among Asian Americans. In 2000, he was listed in the 17th edition of the International Who’s Who in Music and the Musicians Directory. Chi’s musical career was summarized in the 2012 documentary, broadcasted in China on the international channel, CCTV4. Dr. Chi and his wife Dr. Lin Chang have two children: a son, Julius, age 22 and a daughter, Juliet, age 20. An Oklahoma native, Timothy Hsu has had the opportunity to perform and teach in various cities throughout the country and South America, including Baltimore, Dallas, Aspen, Iowa City, Nashville, Oklahoma City, and Washington, D.C. Mr. Hsu has always had a passion for teaching and community engagement programs throughout his career. During his time at Peabody, Timothy was actively involved in several outreach organizations for students in underserved communities, including the Baltimore Symphony Orchestra’s OrchKids and the Greater Baltimore Youth Symphony’s Bridges after school programs as a lead violin teacher. He was also on the TWIGS violin faculty at the Baltimore School for the Arts. In the summer of 2012, Timothy traveled to Acarigua Venezuela to teach and perform in one of their country’s El Sistema education sites. He was also one of two violinists from the United States asked to teach a special masterclass in Guanare, Venezula during that same summer. While in Iowa, Timothy has performed concerts at the University of Iowa Hospital and Clinics, the VA Hospital, and an educational concert for the pre-school division of the Preucil School of Music. Always on the lookout for new opportunities, Timothy has been involved in numerous original projects. In an effort to enrich the ties between Johns Hopkins and Peabody, he facilitated a chamber music reading event between the students of Homewood campus at the Johns Hopkins University and Peabody music students. He was also a co-founding member of the Occasional Symphony whose purpose is to celebrate diverse holidays in distinctive venues with original and classic compositions. Timothy has been the recipient of the Peabody Career Development Grant in 2010 and the University of Iowa School of Music Travel Funds Grant in 2014. In 2006, Mr. Hsu won the MTNA Young Artist’s Competition State Division. He received full scholarships while attending the University of Central Oklahoma for his undergraduate studies. He has also participated in several music festivals including the National Kennedy/Center Summer Music Institute and the Aspen Music Festival where he studied with Won-Bim Yim. He has performed in masterclasses with former New York Philharmonic concertmaster, Glenn Dicterow, and violinist Chee-Yun. 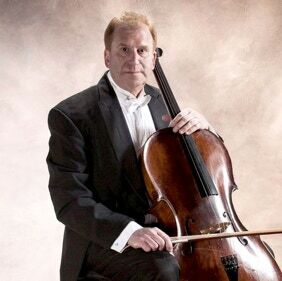 As a chamber musician, he has received coachings from numerous quartets including the Brentano String Quartet, Jupiter String Quartet, Cavani String Quartet, JACK Quartet, and Saint Lawrence String Quartet. Timothy has also played with several symphony orchestras including the Ft. Smith Symphony in Arkansas, the Dubuque Symphony, and Waterloo Symphonies. He was also concertmaster of the symphony ensembles during his time at the University of Central Oklahoma and the University of Iowa. Mr. Hsu is currently finishing his doctoral studies with Katherine Wolfe. He holds a bachelor’s degree from the University of Central Oklahoma and received his master’s degree from Peabody Conservatory. His former teachers include Dr. Hong Zhu and Violaine Melancon of the Peabody Trio. Timothy’s favorite activity is going to new restaurants and trying new foods. Copyright © 2019 PSO - All Rights Reserved.